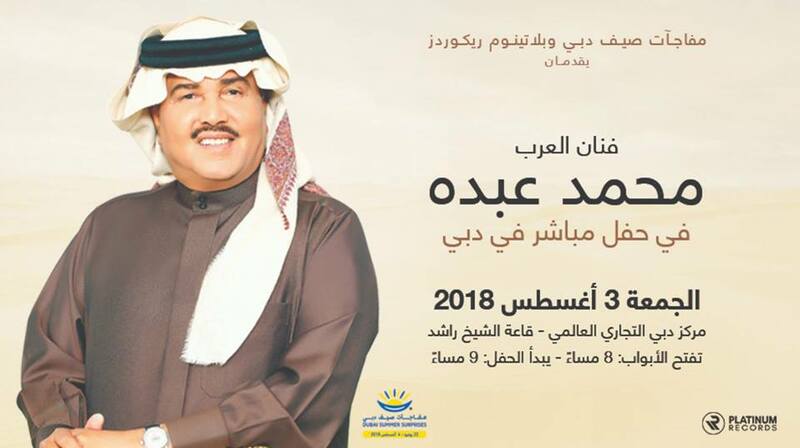 The concert of Saudi singer and oud master Mohamed Abdo will take place on 3rd of August 2018 at the Dubai World Trade Center. The event is a spectacular surprise concert to close Dubai Summer Surprises 2018 with world class Arabic entertainment starring ‘Artist of the Arab world’, Mohammed Abdo. This is Mohammed Abdo’s first concert in the UAE in over a year and the concert will feature his greatest hits and iconic songs. Abdo became noticed for his singing voice in 1960, when he was just 12 years old, and sang in a radio programme called ‘Baba Abbas’. Since that time, his talent has taken him all over the world, and he has released dozens of albums. Renowned for his renditions of traditional tunes, some of his top hits include ‘El Amaken’, ‘Bent El Noor’, and ‘Marrat Sana’. Concert-goers will have the chance to hear the troubadour sing familiar favorites as they enjoy the well-loved singer’s unique voice and instrumental skill at this one-off event.